Although Google does not seem to want to sell smartphones in high volumes, the fact that the company is gearing up to launch two affordable Pixel phones could mark a change in strategy. The Pixel 3 Lite and Pixel 3 Lite XL are two middle-class smartphones that are rumored to arrive at Verizon at some point this spring. 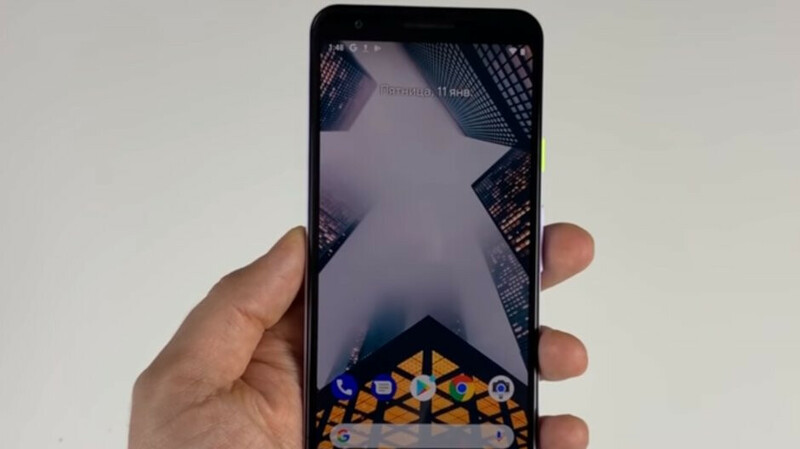 Renders of the phones have already leaked online last year, but Ukrainian tech blog Andro News has taken things a little further and published a short video review of the Pixel 3 Lite. You can find the full specs list below, but there are a few things that aren't mentioned there. First off, the Pixel 3 Lite is a cheap smartphone, which is why Google has opted for a plastic body. Secondly, unlike the current Pixel models, the upcoming Pixel 3 Lite will include a 3.5mm audio jack on the top side. Another major reveal is related to the camera, which apparently is just as good as the ones on the Pixel 3 and Pixel 3 XL. Even though the device shown off in the video is a pre-production unit, it takes exceptional pictures. The only downside seems to be the fact that both Pixel 3 Lite models will ship with Android 9 Pie on board, if they'll be launched on the market this spring, immediately after Google I/O 2019. I like it. Except for the 32gb of internal storage which makes it a no go for me. You forget what site you're on. They were hoping it'd launch with ios..
For real! I have the Pixel 2 with Android Pie and it runs flawlessly. How is that at all possible a downside??? Because Android Q will already have been announced before the phone is released. It’s supposed to be released after Google I/O which is where Android Q is probably going to be announced. That’s why they’re calling P a downside. Q will get announced at Google I/O, but will not be finished until July - August. And will be updated within days of Q becoming official. What is the downside? Assuming the price hits the right mark, I wouldn't be opposed to buying this phone, though the 32 GB is hard to swallow though. I really wish Google would open up to the idea of having expandable storage on their devices. Cloud services are only going to be universally accepted once unlimited plans become the market norm. If memory serves me correctly, Microsoft owns the patents for using expandable storage with a phone. Royalties need to be paid to MS to have a SD card slot on a phone. And with the strange dynamic between MS and Google, Google isn't about to voluntarily give money to MS. But 32GB is not enough in 2019. Instead, the title sounds like - PhoneArena judges a pixel 3 lite pre-production unit How could you call pie a downgrade?? this or Redmi note 7? Still can't run Fortnite, can it? WHY CANT WE GET AN SD SLOT GOOGLE? FFS 32 is unusable. If it's going to have only 32 gigs of ROM, then an SD card slot is must. Get it together, Google.